Aramis is very experienced driving pony. 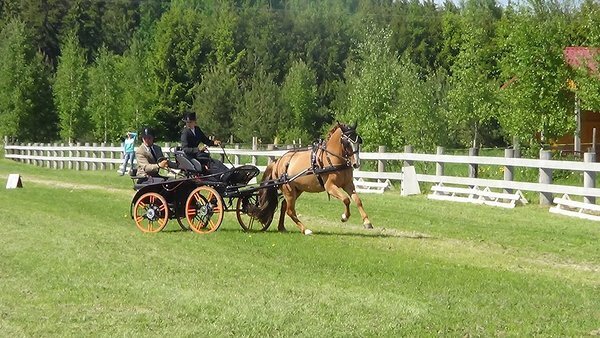 Taken part in many competitions in Estonia and Latvia. Easy and pleasant to drive, moving forward and loves to do work. 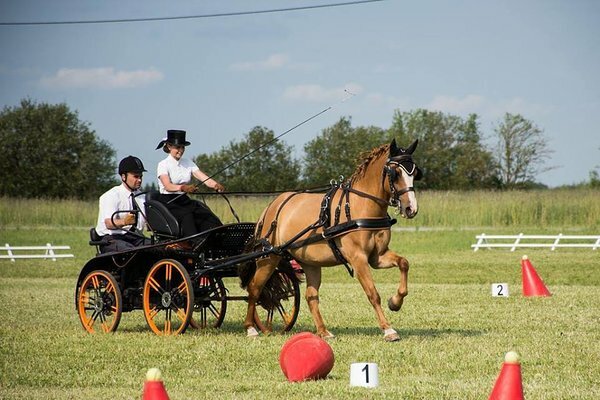 He is well educated, also taken part in dressage competitions with 11 year-old girl. Aramis has roomy, elastic trot and powerful gallop. As he is cooperative, he might not be suitable for beginners. Easy to handle, but can sometimes make "faces", which scares new people, but makes owners only to smile. EU-passport, vaccinated, microchip, has shoes. No problems with transporting alone or with a friend. Horse is located in Raplamaa.